Fall's cult-favorite bootie reaches all-new heights with clean lines and natural materials. Slip on with your end of summer dresses or wear them with your boyfriend jeans. Perfect for transitioning into your fall wardrobe. 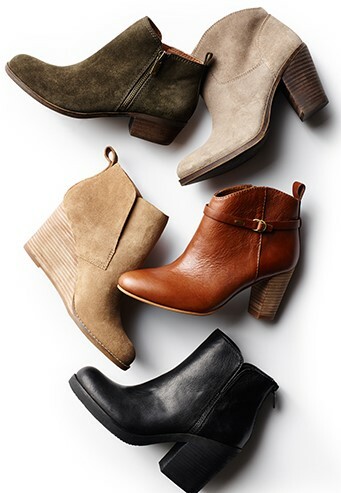 Women's booties pictured above are from Lucky Brand. If you prefer to go with a taller boot, you may want to view our recent footwear post about Ugg Boots with Height.